Apple Watch is the most important product Apple has ever made and Series 4 is the most important Apple Watch to date. Apple Watch is the most important product Apple has ever made. That's not hyperbole. It's certainly not fan-service. And you'd have to be literally the worst, burned-out, buzzed-up back-pager with an XS Max-sized stick up the apps to even consider calling it bull$#!+. Because Apple Watch saves lives. And it does it over and over again. By staying connected to you and keeping you connected, even in times of crisis and emergency; by encouraging you to stay active, regularly, reliably, quantifiable; and by alerting you to potentially life-threatening conditions and situations before they threaten your life, Apple Watch has been consistently, repeatedly, legitimately saving lives. Now, sure, phones save lives. Tablets. PCs. Helicopters. Ultrasounds. A lot of technology, old and new, medical and general saves live. Absolutely. But Apple Watch is uniquely positioned, literally, to do so in dedicated and persistent ways. And, with Series 4, Apple isn't just doubling down — it's tripling up, improving connectivity, activity, and longevity. There's also a new, bigger, edge-to-edge design as well because, lets face it, if you're going to live longer and healthier, you're going to want to look good and have fun doing it. Is Apple Watch Series 4 perfect? No, of course not. It's still missing core features like always-on time, sleep tracking, and a way for me to make a damn Super-Man Photo face with enough complications to actually be useful. It also starts at $399 — or $499 if you want it with cellular networking — which is still a good chunk of change for what for most people remains a tertiary computing device at best. But, is Apple Watch Series good enough that you should seriously consider upgrading or getting in on this whole wrist computer thing for the first time? That's the question that matters, and the one I've spent the last week with a 44mm space gray model figuring out. If you don't have an Apple Watch yet, you should get one. And probably this one. Yes, it may seem expensive and extraneous if your already have an iPhone and maybe an iPad and laptop or whatever, but here's the thing: It can save your life in a way none of that other stuff can. Apple likes to talk about closing all the rings but, for the last 4 years, there's been one big, black ring even Apple couldn't close: the bezel around the Apple Watch display. We've always been at war with bezels — the thick, flat mattes that frame the artwork of the display. They helped house all the vital, internal components but contributed nothing informational to the user. And, for that, they had to die. It's an end not just to bezels but to compromise. If your eyes previously lusted after the 42mm screen but your wrist demanded the 38mm case, now you can get the new 40mm Watch and have the best of both. If you were good with the old 42mm, now you can be even better with the new 44mm Watch. Like with iPhone X — sense a pattern here? — Apple is putting all that new display space to good use. The built-in apps and interfaces have been taken edge-to-edge. Text is bigger and easier to read. Buttons are larger and easier to tap. There are new watch faces to show it off as well, including Fire & Water (not Fire & Ice, sorry), Vapor, and, get this, Liquid Metal. They're sourced from real-world material photography and animated to dance under the display and along its edges. They can go full screen, but then can't hold any complications and so are only really good for tuning out or tech-demo'ing up. They can also be constrained into circles, which don't look as impressive but free up space for a few complications — basically eyes and a smile. The Breathe face, which comes in classic, calm, or focus flavors, lets you center yourself and restore a state of mindfulness with at the turn of your wrist. The instant accessibility comes at the expense of the full, guided app experience — more of a sip than a savor. But, you can tap on the face to bring up the app whenever you want to go deeper. As far as complications go, you can keep it clean or add the same smiley face layout as the materials faces. There are still no custom watch faces and the Photos face still lacks enough complications to make it an even a halfway decent workaround. Worse, there's still no always-on time so there's still no way to subtly, considerately check just when exactly it is without twisting your wrist, tapping the display, or otherwise signaling to absolutely anyone and everyone around you that, "You exhaust me, I'm counting the seconds until I can get away from you." I get that battery budget is still as limited as housing in South Bay, but we're four versions in and, painfully, poetically, Apple Watch's eponymous feature is still the biggest one missing. My kingdom for a screen-saver that's also an ultra low-power time saver. Where the watch teams hit it out the [Apple] Park is with the new Infographic (analog) and Infographic Modular faces, and their "super-complications". Forget eye-candy, these show what the new edge-to-edge displays can really enable. I'm calling them "super-complications" because, one, I like the play on watch words, but two, they're not just bigger than the standard complications — they're informational escalations that manage to be denser without sacrificing legibility. Edward Tuft would be so proud. On Infographic (analog), in addition to the hour, minute, and second hands, you also have room for four wedges in the corners and four circles in the middle. On Infographic Modular, in addition to the hour and minute — frustratingly, there's still no digital second face other than the not-ideal-for-all-occaisions Activity face — you can also fit a small rectangle up top, four circles on the left and along the bottom, and a giant rectangle in the center. You can fill them with communications apps and contacts, if you're running around playing secret agent. You can fill them with world clocks and trackers if you're traveling. You can fill them with fitness features if you're off to a workout. Or you can mix and match to best suit your average activities. And they're so informationally rich. For example. in addition to the classic day and date, Calendar curves your next appointment around the top of the dial. Timer shows how much has elapsed and how much remains along the total duration. Weather shows not only the current temperature but where it is relative to the day's high and low. Its not just the position along a curve either — even the color provides additional data, like relative coolness or hotness. The new design language is, not surprisingly, all curves and iPhone X as well. The result is an Apple Watch casing that's thinner but more spacious, bigger in surface but smaller in volume — you know, that trick Apple's industrial design team just keeps on pulling. I can't tell if it really feels lighter and flatter on my wrist or if that's just a sensory illusion. The human brain has a nasty habit of obliterating objective measures like millimeters and milligrams for subjective feels like newness and shininess. My cuffs say it doesn't really fit any better under them than the previous models did, but we're getting there. It comes at a price, though. For everything Apple's giving us with this new design, it's taking something away from the finishes and materials. This new, unified gold, to my eyes, is just a shade deeper than blush. It continues Apple's tradition of providing something that looks opulent, even over-the-top, but not chintzy or gaudy. You can get it on the aluminum model, alongside silver and space gray. Entirely new for this year, you can also get gold on the stainless steel model now as well. It matches the new, steel gold of the new iPhone XS and iPhone XS Max, if you want to get your coordination on. You can't anodize steel like you can aluminum, so Apple is using a physical vapor deposition (PVD) process to achieve the gold look. It's similar to what Apple's done with the Space Black Watch since launch. That model uses a diamond-like carbon (DLC) type of PVD, which makes for an incredibly hard, scratch resistant finish. Not all PVD is DLC, but this one is supposed to be just about as tough. And, If PVD isn't your thing, you can also still get the steel watch with its polished silver finish. The new steel gold comes at a cost as well: Apple made room for it by deleting the ceramics as though they were bezels. That's right: Apple Watch Edition, 2015-2018. RIP. After launching the original Watch with a 18K yellow and rose gold Editions, Apple right-marketed that down to a single white ceramic Edition for Series 2, then expanded back to a white and a gray ceramic Edition for Series 3. Ceramic is a staple of higher-end watches and I liked it enough to buy it both years it was offered. I'll mourn its loss. Especially because gold is less my thing. Apple knows its numbers best, though, so I imagine steel will have a long reign on top of the materials and price chart. With Series 3, LTE models were identifiable by a thirsty red punch to the Digital Crown cap. While the look wasn't unheard of in the watch world, it often clashed to the point of being unsightly and was always something you could just never unsee. On Series 4, the dot is replaced by a slightly less thirsty red ring. LTE iPads seem to survive just fine without red power buttons, so I'm not sure why watch feels the need to be so noisy here. The non-LTE models, by contrast, sport a much classier black ring. The inside of the Digital Crown has been redesigned as well. Apple increased the number of components inside the mechanism by 21% but decreased the overall size by 30%. That's nerdy information that'll only appeal to people interested in how Apple keeps pumping more battery filling into the casing cake. What'll appeal to everyone is the new haptics. Same as Force Touch and 3D Touch, it uses the fact that our senses are a lie and our fingers are proprioceptive liars to emit vibrations that feel, for all intents and purposes, like precise, incremental clicks. The is intended to let you scroll the interface without your chubby human finger blocking out the display. Since I'm more of an iPhone person than a Watch person, I've stayed stuck to tapping with my chubby human fingers anyway, except in cases where a list refuses to scroll by any mechanism other than the crown. Then I remember it's there. The new clicking absolutely feels more precise and more fun to use. It's catchy, if not quite AirPods lid flipping catchy. I'm not sure it's enough to break me of my bad habits just yet, but I'm a huge believer in the future of tactile interface and I very much like where Apple is going here. The Side button is flush now but still a real button. It doesn't make Series 4 any more water-resistant or "swim-proof" than Series 3 was. That's still the same. But it does make it a little harder to find with just your finger, which might be an accessibility issue. If you're not used to Apple Watch conventions, you'll still be able to tell something is there, it might just take some experimentation or explicit information to help you figure out what it is. If you're at all used to Apple Watch, though, you won't even notice what you're not noticing — you'll just press the side and it'll work, same as ever. Between the Crown and the Side button is the relocated microphone. Apple says it was moved to reduce echo. Now, I never had a problem with echo on the Series 3, but the Series 4 also has a redesigned speaker system that's much louder than before. And I'm guessing if the mic wasn't moved, yeah, there'd be echo. Because everything from Siri to calls now boom. Like, BOOM. It does still sound "roomy" on the other end, and it's still clearer next to your mouth than at arms length but, if everything else is quiet, I can make out conversation from a good dozen feet away, and from a device smaller than your average S'more. Which is pretty damn amazing. On the bottom is the new sensor array. It's all black ceramic and sapphire now, even on the aluminum models. There's a newly unified optical heart sensor array in the middle. It still uses four separate elements, they're just clustered together in the center now instead of being strung around. That spot's been given to the entirely new electrical heart sensor. More on that in a minute. There's no notch like on iPhone X because there's no front-facing camera module like on iPhone X. (Should there be one? I don't know. Anything but the briefest of FaceTime video calls wouldn't just be power-hungry, it would be tiring.) But the end result is the same: The most impressive hardware package Apple has ever shipped. Again. The black ceramic and sapphire crystal back plate on Apple Watch Series 4 doesn't just look better in a Tony Stark Arc Reactor kind of a way, though it certainly does that. It works better as well. Apple added the original, optical heart sensor to the original Watch simply to get accurate calorie counts. It quickly proved to be much more capable than that. Most recently, Apple began using it to detect spikes in heart rate and alert you so you could see your primary care physician for follow up. That saved lives. With watchOS 5, in addition to elevated heart rates, Apple Watch will also be looking out for slow heart rates as well. You can set your own threshold and, if it registers for more than 10 minutes, you'll be alerted. It's not just the highs and lows, though. watchOS 5 will be paying attention to any irregular rhythm. Atrial fibrillation (AFib) is hard to catch, and Apple Watch won't be able to catch every instance of AFib. But, when and if it does, it'll notify you so you can get to your doctor and get it looked at, stat. It's important enough and novel enough that the United States Food & Drug Administration has granted it "De Novo" — fancy latin for "new" — status. It'll be available to everyone with an Apple Watch Series 1 or later in the U.S., in the Health app, later this year, and hopefully in many other places once other national health regulators approve it. Likewise the new ECG app. ECG and EKG are interchangeable acronyms for electrocardiogram. Unique to Apple Watch Series 4 and it's new electrical heart rate sensor that's split between a ring around the optical sensor on the back and the top of the Digital Crown on the side, it tests and records the timing and strength of your heart beat. Yeah, pure sci-fi. It's a single pa equivalent test, where most medicals use twelve pads, so the data is limited. It also requires you to have the watch on your wrist and the finger of your other hand on the Digital Crown, completing the circuit, for a full 30 seconds to take a reading. Even then, it'll only generate a PDF report that you can send to your cardiologist. In other words, it's still extremely limited. But, it can tell if your heart is in sinus rhythm or atrial fibrillation, and can provide critical, long term data as part of your overall medical plan. And again, save lives. So can the new fall detection, which uses the new accelerometer and gyroscope to determine when you've taken a fall and may require emergency assistance. The new motion sensors have twice the dynamic range, sample eight times faster, and can measure up to 32 g-forces. That lets them identify the physical characteristics of a fall, slip, or trip, including your arm movement and acceleration and (rapid) deceleration. When you hit the ground, you can immediately tap to call emergency services and alert your emergency contacts. And, critically, if you don't start moving again and get up within a minute, your Apple Watch will make the call for you. Apple didn't specifically test falls as a result of seizures or violent attacks, which could have very different patterns from slips or trips, but if Apple Watch does detect the fall and, small or isolated movements aside, if you don't get up again, it should still autodial after a minute. As someone who's had loved-ones lives shattered and even, ultimately, ended all tracing back to a series of falls, I can't tell you how important this single feature is to me. Whether it's for older family members who might take a bone-breaking tumble or friends who insist on mountain biking alone, it's enough to make me want every single one of them to get and wear an Apple Watch Series 4. And enough to make me already order one myself for several of them. Deepest thanks to everyone on the team who made this feature, version 1.0 as it may still be, a reality. Every great wrist computer needs, well, a great computer. Apple's been making ultra-small, ultra-efficient systems-in-package (SiP) since the original Watch and this year it's gone to 4. S4. In a year when Qualcomm took the old, already rehashed phone chip it previously shipped for wearables and re-rehashed it again with some new co-processor frosting, Apple pushed its industry-leading silicon another generation forward — again. A year older and two times faster. You notice the performance when you do even simple things like swiping between the more-complex-than-ever watch faces, calling up Siri, or blasting through the improved and new communications, health, and fitness features. Also incremented this year is Apple's W-series wireless chipset. W1 is inside the AirPods. W2, the Apple Watch Series 3. Now, W3 has come to the Apple Watch Series 4. Yeah, it's a lot of not-quite-lined-up numbers, but the important part is this: Bluetooth 5.0 support. It makes everything from setup to sync to transfer faster and more power efficient. The new black ceramic and sapphire sensor panel on the back is also newly RF-transparent. So, the cellular signal can pass not just through the top, around the display, but through the bottom... at least out of the edges not blocked by our fleshy, water-logged wrists. That makes cellular better, stronger, and more power efficient as well. Otherwise, the LTE is the same, as is the 802.11b/g/n 2.4GHz Wi-Fi. That's to be expected given the constraints of something the size of Apple Watch. But, I still want more. No, not Android compatibility. That'd just be a short-lived stop-gap for the few people who want the watch but not the phone. Unlike iTunes on Windows, Apple Watch doesn't need to look elsewhere to increase its market. It is the market. It just needs to grow. And that doesn't take more dependences. It takes independence. iPhone and iPad broke free from the PC and went all-in on iCloud with IOS 5. It'll take Apple Watch a little longer than watchOS 5 to break similarly free from iPhone but, once it does, it won't need anything else. Anything but your login, that is. Put the hack-saw and glue-gun down and back away from the crafts table: Apple Watch bands remain 100% backwards and forwards compatible. That means, if you already have bands from an older, "smaller" Apple Watch, they'll fit perfectly on the new, "bigger" Apple Watch Series 4, and vice versa. 38mm and 40mm models use the exact same lugs, grooves, and rapid switch systems, as do 42mm and 44mm models. Good thing too, or I'd still be crumpled up into a little ball on the steps of the Steve Jobs Theater, sobbing into my over-stuffed band box. Especially good, because it looks like some bands have gone the way of the bezel, and the ceramics... and the rose gold. No, not Modern Buckle. That's been given a reprieve, at least as sold separately. Woven nylon and classic buckles, though, are gone. I love the loops — they're like sweat pants for your wrist — but the buckles classed things up so I hope it's not the last we've seen of them. Unlike previous years, Apple hasn't added any new band styles either. Maybe that's because all the remaining fruit is higher hanging? We'll have to wait and see. What's left, pre-packaged, are the sport bands and sport loops, in white/seashell, black, or pink sand, and Nike sport bands and Nike sport loops in black/anthracite and summit white/pure platinum, and Milanese, now in silver, space black, and gold. Additional colors, including Nectarine, Hibiscus, Storm, Indigo, Forest, Cape Cod, and Peony, as well as the modern buckle and leather loop are also available post-purchase. The most interesting are also the most expensive: Hermès single and double tours, rallye and deployment. There are new colors but there are also new multi-colors. And Apple's made those carry through to new Hermès watch faces as well. Apple Watch Series 4 ships with watchOS 5. A free software update for Apple Watch, it adds new bits to old atoms going back to the Series 1. That includes auto-start and stop for workouts, pace targets and rolling miles for runners, activity competitions, walkie-talkie, richer notifications, Podcasts support, and more. I'll do a deeper dive on it once the release version has percolated for a spell and I can try out all the new features with a variety of different people in real world situations. In the meantime, you can check out my former partner in-crimes original preview based on the first beta version back in June. Apple products are often called expensive. But Apple's formula is no big mystery: The company sells products at roundly 30% margins, sometimes higher if it can manage it, sometimes lower if it wants to really drive adoption. So, the question becomes, what value do you get for your money? There's the hardware, software, and services, of course. The hardware remains the best in the business. The software has had some ups and downs but is currently on a strong upward curve. 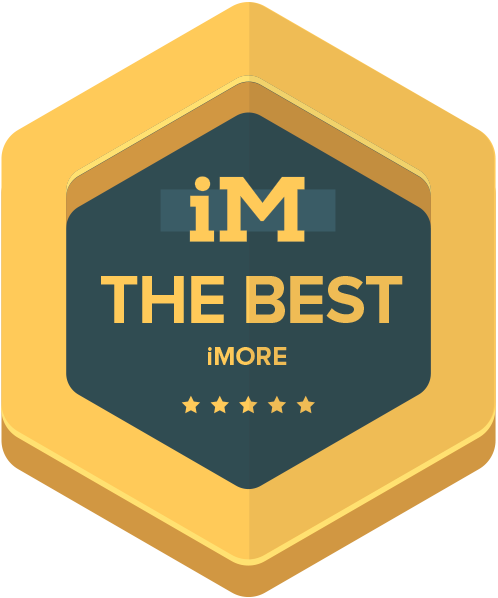 Some of the services are excellent, like Apple News, Apple Music, Messages, and more. Others, like Siri, are still very much a work in progress. But there's more to it than that. There's Apple Retail, which offers free classes on a wide range of subjects, mostly focused on how you can get more from the products you've bought. There's also AppleCare, which can extend your warranty to three years and provide not just in-store service but online and telephone service as well. 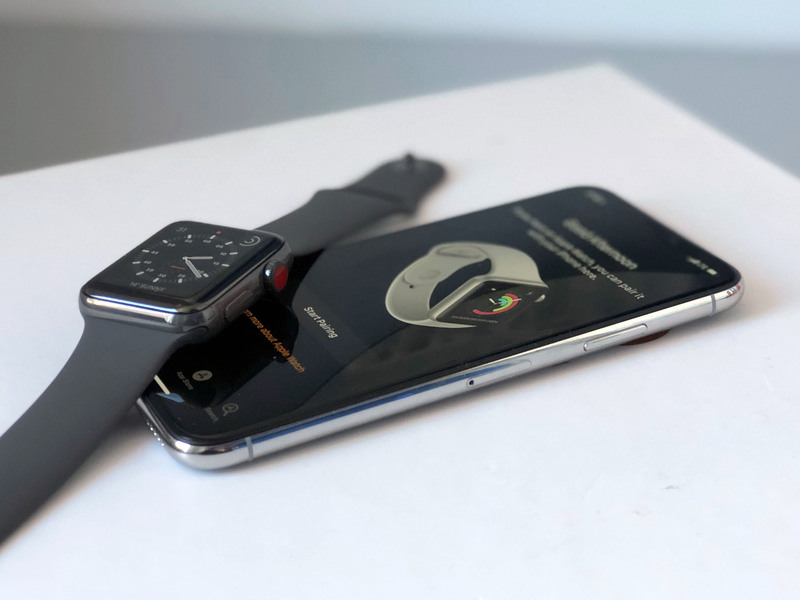 Then there's how Apple Watch works with Apple everything else: How it can unlock your Mac, control your Apple TV, find your iPhone, open and close your HomeKit accessories, and so on. And there's an incredibly wide range of apps and accessories that support Apple Watch, because Apple Watch has provided a consistent, stable platform and target for them to support. Last Apple earnings call, Tim Cook said he'd seen cases where Apple Watch had driven sales of iPhone. In other words, people wanted Apple Watch so much they were willing to get an iPhone just to make it possible. I believe it. None of that might make Apple Watch worth it to you, but all of it should be factored into any comparisons with other watches, smart and daft, any decision you ultimately make. If you have an iPhone, you should have an Apple Watch. And you should probably have a Series 4. If you don't have one at all, don't give me any crap about not wanting or needing a watch or a wearable computer. That's what people of a certain age used to say about always connected pocket computers — "phones", whatever — and now we take them totally for granted. Apple Watch can't replace your iPhone. Not yet. But it can save your life and in ways I desperately hope will soon be taken just as totally for granted. It lets you have fun. Sure. It keeps you connected. Great. It motivates you to stay active. And you need to. But all the while it's also lying there in wait, ready to spring into action the moment you need it to. If you're swimming or jogging and don't have your phone but need help or if you're in an accident and your phone was thrown out of reach, Apple Watch can still make the call. 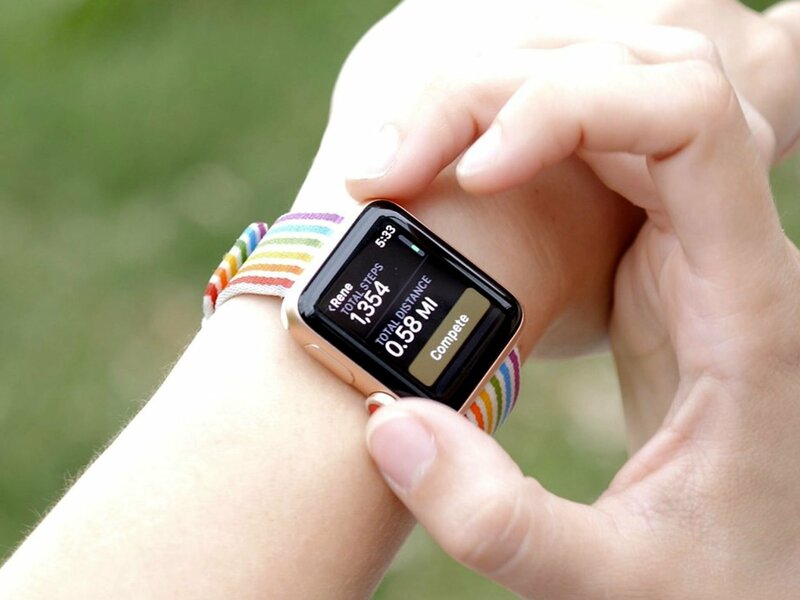 If your heart rate is elevated, or slow, or — coming soon — has an irregular rhythm, your Apple Watch can alert you and keep gathering data so you can check with your doctor and make sure they have what they need to get you the help you might need. If you're climbing the stairs or hiking the trail and you fall or slip or trip and literally cannot get back up, Apple Watch can call in your back up. If that last part isn't as critical to you, you can save some money and get a freshly discounted Apple Watch Series 3 starting at $279 or $379 for cellular. If it is critical, and I'd argue it you should seriously consider it as such, you can get Apple Watch Series 4 starting at $399 or $499 for cellular. Yes, that may be expensive if you already have a connected computer in your pocket or hand, on your desk and/or on your lap. Even though it has a cool new design, gorgeous edge-to-edge display, and terrific new super-complications. And, yes, becasue it's still missing always-on time and sleep tracking, and the equivalent of an iPhone Upgrade Program.